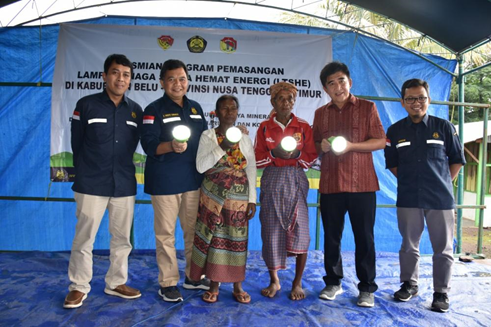 BELU - Two villages in Belu Regency, East Nusa Tenggara Province (NTT) were finally able to feel the light, especially at night thanks to Energy-Saving Solar Lights (LTSHE). As many as 234 units of Energy-Saving Solar Lights (LTSHE). have been installed in residential housing, using the budget of the Directorate General of New Energy, Renewable and Energy Conservation (DG EBTKE) in 2018. Albertus, one of the Energy-Saving Solar Lights (LTSHE) recipient communities, who was met on the sidelines of the symbolic submission of the Energy-Saving Solar Lights (LTSHE) to the Belu Regency Government (Friday, 01/02), told that before the Energy-Saving Solar Lights (LTSHE) was present, their village was very dark. Residents use lamps with kerosene for lighting at night. In one night, you can spend only one bottle of kerosene for lighting at night and the ability to buy kerosene is very limited. "We used to be very dark in the village of Fatubesi, many people said that we were not yet independent," Albertus said. "If there is money, it is bright at night, if there is no money, we madefire by firewood or it is dark at all. Sometimes it is difficult to find kerosene, so we made fire when eating with family," he continued. Therefore the presence of Energy-Saving Solar Lights (LTSHE) installed in their village is very meaningful in helping the activities of people's lives. E.Widyo Sunaryo, Special Staff of the Minister of ESDM for Politics, Law and Security who was present at the delivery of the Energy-Saving Solar Lights (LTSHE) in Maudemu Village, Lamaknen Subdistrict, revealed that Energy-Saving Solar Lights (LTSHE) was a Government program implemented to develop Indonesia from the outermost, lagging and isolated. "Indeed, the electricity line should have been able to enter here, hopefully soon the electricity lines will be able to enter here, so that later various types of household activities and entrepreneurship can be started," added Widyo. In 2018, Belu District received 234 units of Energy-Saving Solar Lights (LTSHE) installation in the Rafae Village (89 units) and Maudemu Village (145 units). The government hopes that the installation of Energy-Saving Solar Lights (LTSHE) in the two villages can help the community in their activities at night, such as providing information when children learn and mothers make woven fabrics. 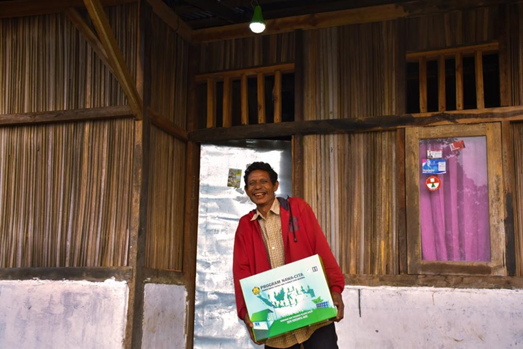 After the submission of the Energy-Saving Solar Lights (LTSHE), the community is expected to maintain and take care properly so is not easily damaged and can be utilized for a long time. "Before I leave this lamp, I need to remind you once again that this is a program from the central government and this will continue to the infrastructure development program in 2019. Later when this lamp has been delivered, please maintain it well so that it lasts and long lasting, "concluded Widyo. The ESDM Ministry of Energy and Mineral Resources Directorate General of EBTKE has budgeted Rp. 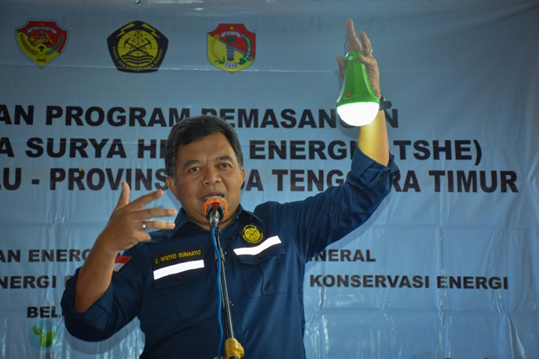 595 billion for the 2018 Distribution and Installation Program to illuminate 172,996 heads of households (KK) that have not been electrified throughout Indonesia. In determining the prospective recipients of the Energy-Saving Solar Lights (LTSHE), the Directorate General of EBTKE uses Village Potential Data (Podes) published by the Central Statistics Agency (BPS) in 2014. 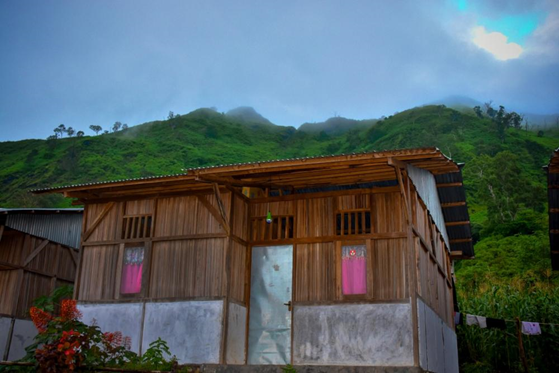 In the Podes data, there are 2,519 villages throughout Indonesia which are still completely dark, where there are 20 (twenty ) villages, with 3,830 households in NTT Province.